Beautiful Home w/ A Backyard Oasis! 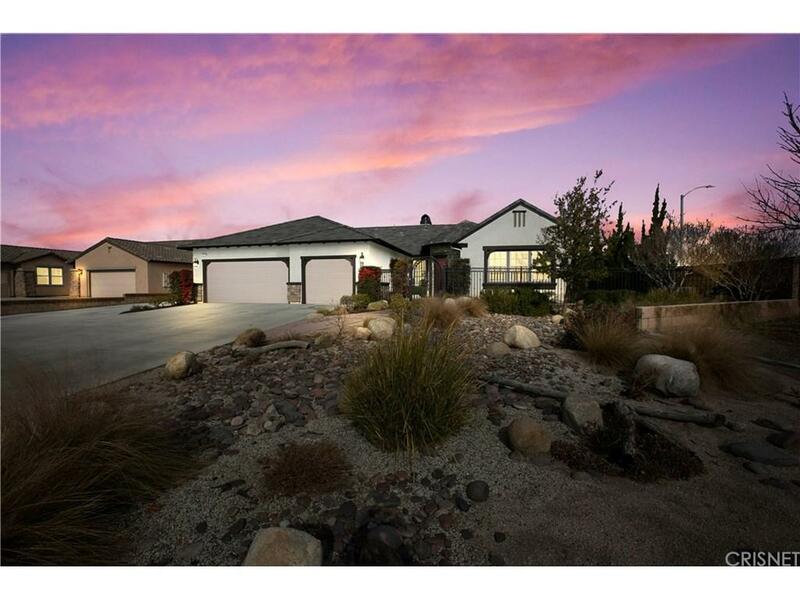 Premiere Collection at Quartz Hill single story home on 1/2 Acre lot completely professionally landscaped with room for a pool. NO MELLO ROOS OR HOA, Gourmet kitchen with granite countertops, professional appliances, custom backsplash, walk in pantry and recently upgraded large center island. Large open family room with fireplace and upgraded light fixture. Formal living and dining rooms with tile flooring and custom window treatments. Lushly professionally landscaped rear yard w/ outdoor kitchen, outdoor living room w/ fireplace, stamped and colored concrete, multiple sitting areas complete with block wall fencing. This home offers over $85,000 out door design, hardscape and landscape. Gated RV access w/ hook ups for 2 RVs.